Facebook CEO Mark Zuckerberg said Wednesday his company will hire another 3,000 people to review content that users report as questionable or controversial. His company was criticized recently for failing to immediately take down videos involving a man killing another man in Cleveland and a man in Thailand broadcasting the murder of his infant daughter using Facebook Live. 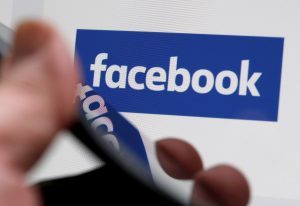 Wired magazine’s Emily Dreyfuss told the PBS NewsHour last month that while Facebook needs to do more to police controversial content, it has structures in place. A video of a man being shot to death was posted on Facebook Sunday and stayed online for nearly three hours before it was taken down. A man identified as Steve Stephens is said to have recorded himself confronting and killing Robert Godwin Sr. in Cleveland, raising questions about the role of social media sites. John Yang talks to Emily Dreyfuss of Wired magazine. Zuckerberg said Facebook would try to speed the process of reporting and removing flagged content. In recent months, Facebook and Instagram, which is owned by Facebook, introduced features to help users report instances of self-harm and suicide attempts discussed or shown on its platforms. 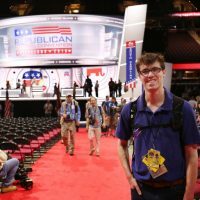 Dan is the PBS NewsHour's Social Media Editor/Producer.